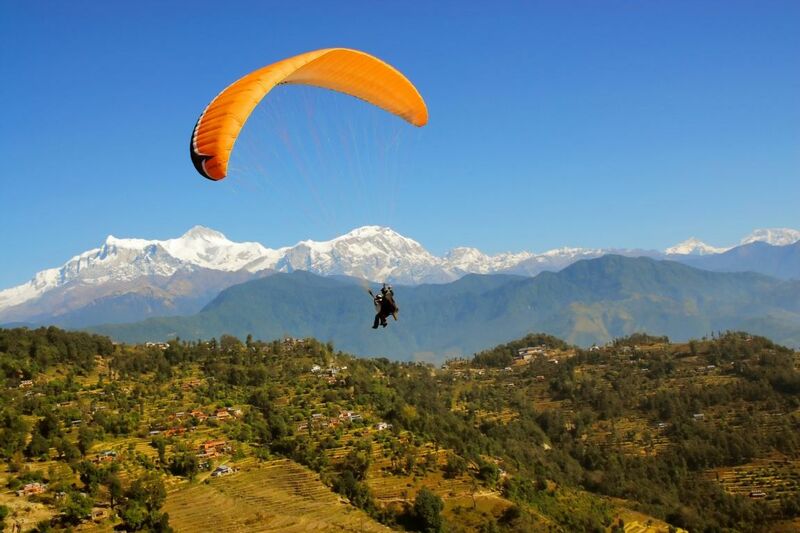 Paragliding is a relatively new adventure sport in Nepal. Paragliding in this Himalayan country can be a truly wonderful and fulfilling experience for the adventure seekers. You can experience unparalleled scenic grandeur as you share airspace with Himalayan griffin vultures, eagles, kites, while floating over villages, monasteries, temples, lakes and jungles, with a fantastic view of the majestic Himalayas. 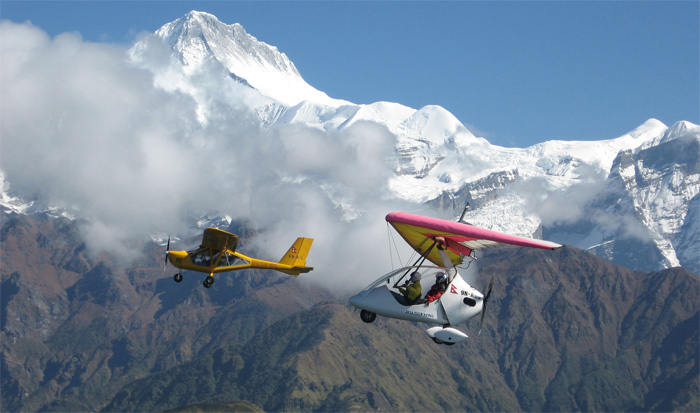 Ultra Light Aircraft was introduced in Nepal in 1996, and the operators has been offering sightseeing tours in the Pokhara Valley. The choice of Pokhara for ultra-light aircraft is appropriate chiefly because of the proximity of the mountains, and the scenic lakes. For those who wish to fly like birds, this flight is a ‘must do’ experience. Leave your woes behind on earth, soar to heights, bathe in the clouds, reach out for the mountains and kiss the azure sky. The view from high up in the sky is spectacular.